Farcical look at the days immediately following the death of the Soviet dictator. Glaswegian satirist Armando Ianucci has sunk his teeth into the politics of his native UK and the US with TV shows The Thick of It and Veep, and the former's big screen spinoff, In the Loop. Now he takes on the inner workings of the Kremlin with The Death of Stalin, an adaptation of a cult graphic novel. The location may have moved considerably East, but Ianucci's satirical schtick is still in place, and it's beginning to turn stale. Loosely following real historical events, The Death of Stalin, as its title suggests, opens with the passing of the Soviet dictator in 1953. This creates a power vacuum, with two main contenders conspiring in their own ways to take over the nation. Head of the Soviet police, the slimy Lavrentiy Beria (Simon Russell Beale) goes down the populist route, freeing dissidents from jail, removing names from execution lists and restoring the Church, despite having taken much relish in his previous job as Stalin's chief thug. In his way is Nikita Kruschev (Steve Buscemi), who intends on maintaining the status quo established by the deceased leader. Far from the knockabout farce the trailers hint at, Ianucci's film is a full blown political drama with more characters than a Tolstoy novel. Replace the cast of British and American comics with dramatic Russian actors, and remove the colloquial swearing, and The Death of Stalin could almost play like a straight historical drama. I could imagine students of Russian history using this film as a research shortcut the way high schoolers rent Baz Luhrmann's Romeo & Juliet rather than reading Shakespeare's play. It's as a skewed history lesson that Ianucci's comedy drama works best, as the comedy isn't half as interesting as the drama. The film relies too heavily on the novelty of hearing famous Russian statesmen speaking with broad Brooklyn and Bradford accents for its laughs, and the joke quickly wears thin. The other main source of comedy comes from the fear of unwittingly making an enemy of someone who is either currently in power or set to soon take over, best exemplified in an opening sequence in which Paddy Considine's nervy Radio Moscow producer sweats over a request by Stalin for a copy of a recording that was never actually made. 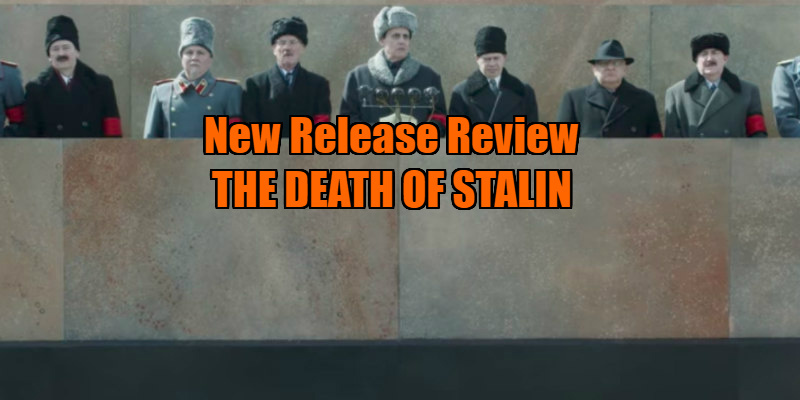 The first 20 minutes or so of The Death of Stalin are quite hilarious, but with the rest of the film essentially a variation on the same theme, the laughs quickly become repetitive. More comfortable in the realm of TV, Ianucci's big screen ventures never justify such scope, and his latest is very much a big screen sitcom, with the humour almost solely generated through dialogue. Visual gags are almost entirely absent here. What ultimately saves the film is its cast. It's refreshing to see a movie in which most of the performers are over the age of 60, and The Death of Stalin benefits significantly from the combined wealth of experience on display here. If anything, there are too many stars jostling for position, and some feel under-used, none more so than the great Jeffrey Tambor. It's Beale as the lecherous and skin-crawling Beria who creates the greatest impression here, with a performance that generates as much unease as laughs. Had the rest of the film been in tune with Beale's character and performance, the bite of its satire would have left a far deeper impression. 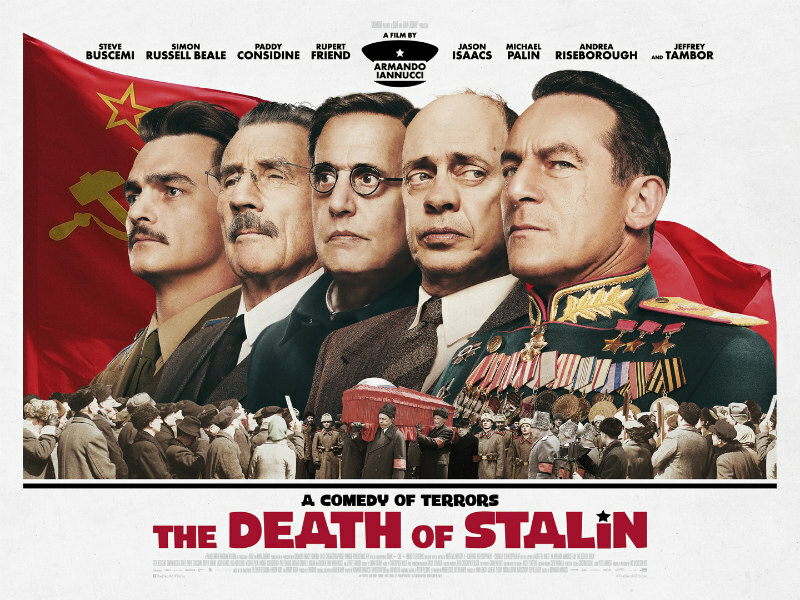 The Death of Stalin is in UK/ROI cinemas October 20th.